Eggnog Cookie Cups! This sweet, creamy frosting is made with REAL Eggnog! Perfect quick and easy Christmas dessert! Hey Princess Pinky Girl readers! 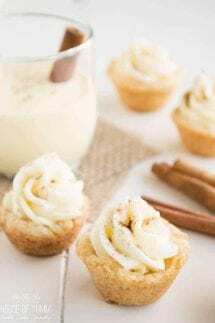 Serene from House of Yumm back with a fun festive dessert treat! I love making cookie cups, so of course I had to make a Christmas version. 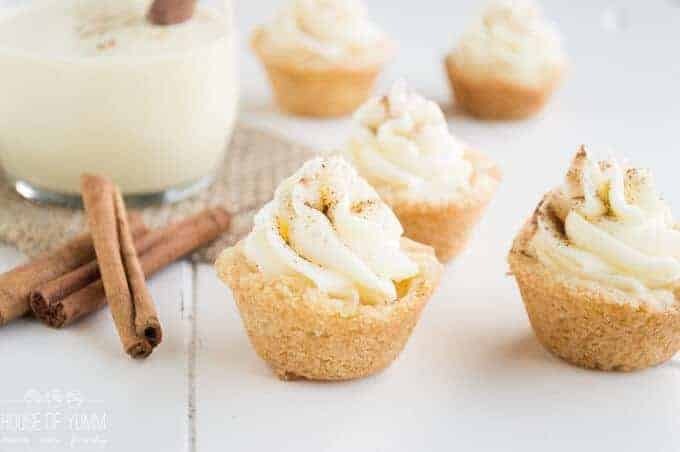 These Eggnog Cookie Cups are so easy to put together and super tasty! I could probably just sit and eat this eggnog frosting from a bowl and be happy. 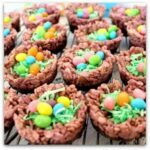 Cookie cups are the easiest treats ever to make. I have a large collection of them on my site here if you want to check them out. I find that when I’m short on time they are the quickest things to make and so easy to change up to suit any season, event, or get together. And since I pipe the frosting into a cute swirl they look impressive and people think I spent a lot more time than I actually did to make them. Which I consider to be a win! 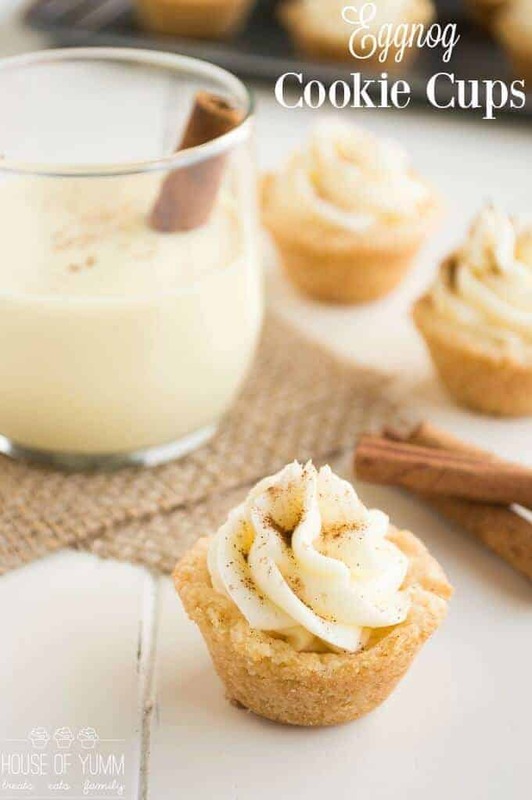 These eggnog cookie cups are topped with frosting that is actually made with real eggnog! Plus a little rum extract to really hit home on the flavor. Sprinkle a little cinnamon on top and they’re so cute!! 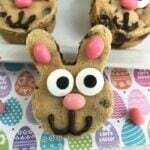 These were such a big hit at the hub’s office, the place I typically send all my treats. I’m definitely going to be making them again when it’s time for the Christmas parties! Preheat the oven to 350 degrees Spray mini muffin tin with non stick baking spray and set aside. Prepare the sugar cookie dough as directed, or prepare your own favorite homemade version. Using a cookie scoop or a tablespoon, scoop the cookie dough into the mini muffin tin. Press the dough down into the tin creating a crater in the center. This will help them to bake evenly. Bake the cookie cups for approximately 9 minutes or until the tops are just starting to turn golden brown. The center will still seem doughy. Press the center down with the spoon again to re-create the crater in the middle, this will make the cup shape. Allow to cool in the pan for about 5 minutes and then remove to continue cooling on a wire rack. For the frosting place the butter in your mixing bowl. Beat it on high speed for about 30 seconds until the butter is creamy. Spoon in the powdered sugar and mix on a lower speed, slowly pour in the eggnog. Continue to mix until fully combined and nice and creamy! Add more powdered sugar or eggnog to achieve desired consistency. Kitchen Organization Ideas to Save Your Sanity!